Hon. J. D. E. Boyce and Rt. Hon. O. S. Arthur. Mr. R. C. Eastmond and Miss C. Y. Forde. Appointed on 29th June, 2010. Rt. Hon. O. S. Arthur (Chairman), Hon. R. L. Sealy, Hon. C. P. Sinckler, Dr. the Hon. D. S. Lowe and Mr. D. D. Marshall, Q.C. Hon. F. J. Stuart: To move the First Reading of the National Petroleum Corporation (Amendment) Bill, 2012. Notice of this Bill was given on 2nd March, 2012. The Bill was read a first time on 6th March, 2012. The Bill first appeared in the Official Gazette on 5th March, 2012. Hon. F. J. Stuart: To move the Second Reading of the Offshore Petroleum (Amendment) Bill, 2012. Notice of this Bill was given on 10th July, 2012. The Bill was read a first time on 10th July, 2012. Hon. F. J. Stuart: To move the Second Reading of the Offshore Petroleum (Taxation) (Amendment) Bill, 2012. Hon. S. A. Lashley: To move the passing of a Resolution to take note of and approve the National Youth Policy of Barbados. Notice of this Resolution was given on 25th September, 2012. Hon. E. G. Hutson: To move the First Reading of the Societies with Restricted Liability (Amendment) (No.2) Bill, 2012. Notice of this Bill was given on 1st October, 2012. The Bill was read a first time on 2nd October, 2012. Hon. E. G. Hutson: To move the First Reading of the International Business (Amendment) Bill, 2012. Hon. C.P. Sinckler: To move the First Reading of the International Financial Services (Amendment) Bill, 2012. Hon. C.P. Sinckler: To move the First Reading of the Income Tax (Amendment) Bill, 2012. Hon. M. A. Lashley: To move the passing of a Resolution to approve in accordance with section 5 of the Crown Lands (Vesting and Disposal) Act, Cap. 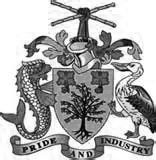 225, the sale of a parcel of land, the property of the Crown, situate at Holders Hill in the parish of St. James in this Island, to Lilian Lewis. Notice of this Resolution was given on 5th October, 2012. Hon. M. A. Lashley: To move the passing of a Resolution to approve the publication in the Official Gazette of a notification under section (9)(1) of Land Acquisition Act. Cap 228 declaring the abandonment of the compulsory acquisition of land, by Resolution No. 59/1990, situate at Kendal Hill in the parish of Christ Church in this Island. Mr. S. A. Lashley: To move the resumption of debate of a Resolution to take note of the Throne Speech of His Excellency the Acting Governor-General and of the determination of the Government to implement the provisions referred to therein.